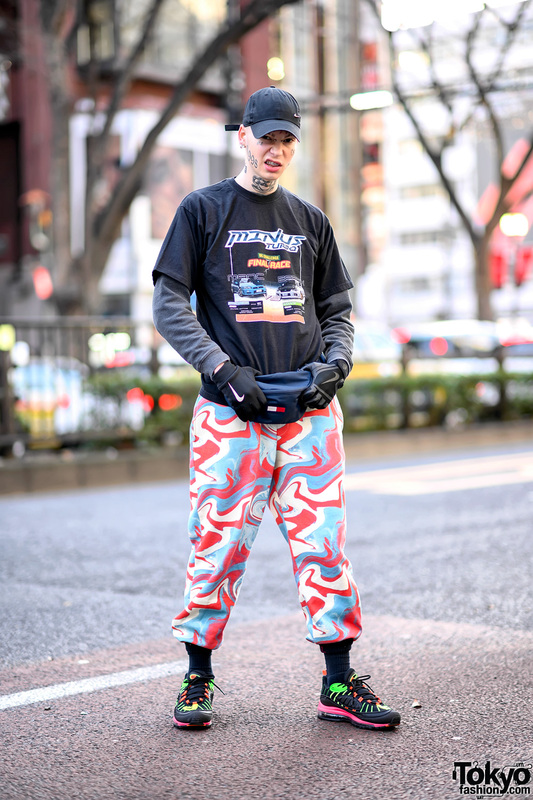 Tattooed model on the street in Harajuku wearing a graphic tee with color camo pants, a waist bag, grills, cap, and neon sneakers. 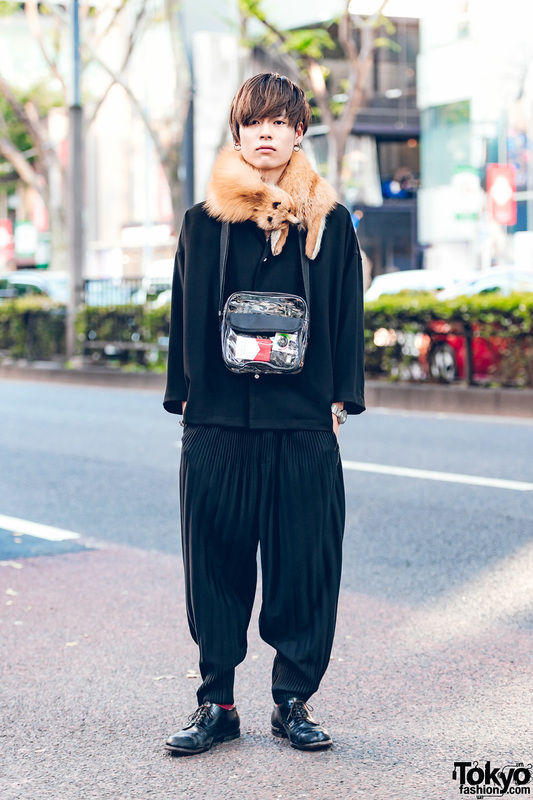 Japanese male model with a shaggy blonde mullet hairstyle wearing a skinny suit and sparkling heeled boots on the street in Harajuku. 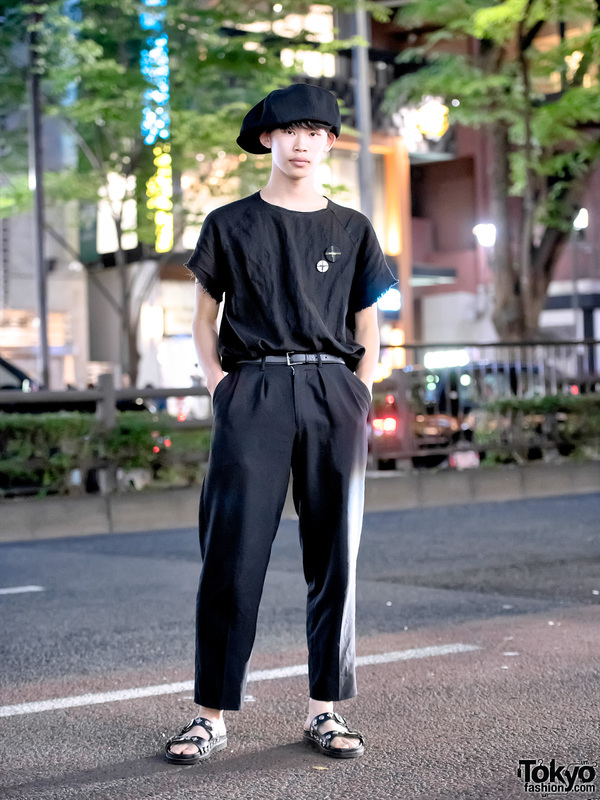 Male Japanese model wearing a minimalist street style in Harajuku with Yohji Yamamoto pleated pants, Christopher Nemeth pins, and Toga sandals. 20-year-old Japanese model on the street near Bunka Fashion College in Tokyo. Harajuku model and stripper wearing a mouth print shirt over turtleneck, long black skirt, statement boots and a printed tote. Harajuku model sporting a fun and colorful printed outfit while out and about on the street. Japanese model sporting an all black look and a cute contrast plush muffler while out and about the Harajuku streets. 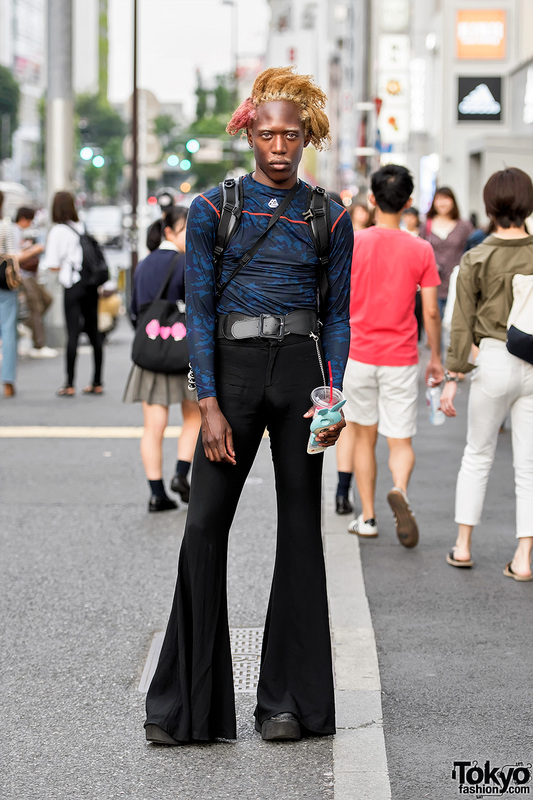 Tokyo-based male model and YouTuber on the street in Harajuku wearing a camo top, flare pants, and platform shoes. 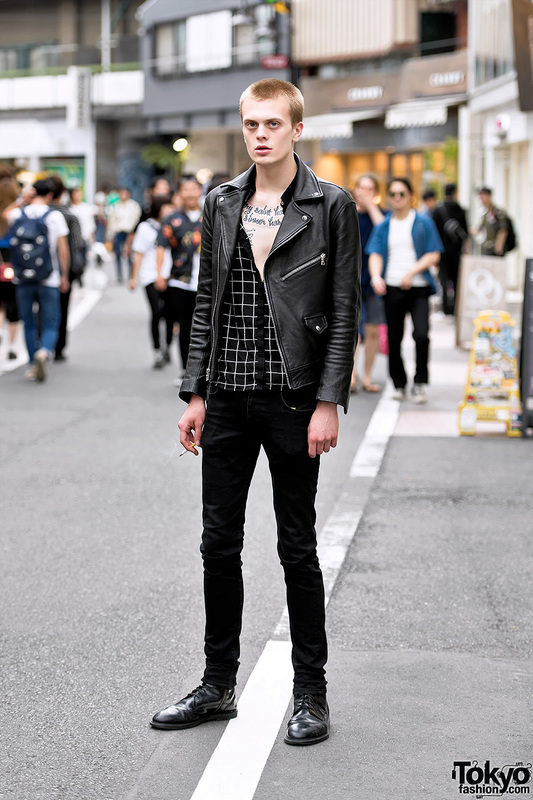 Male fashion model Ian Weglarz on Cat Street in Harajuku wearing a leather biker jacket with skinny black jeans and Docs. 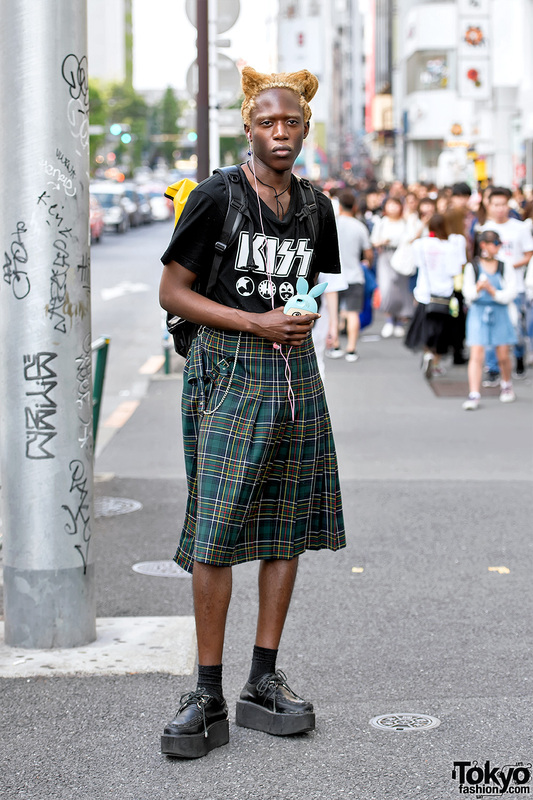 Model on the street in Harajuku wearing a vintage Kill t-shirt, Jean Paul Gaultier plaid skirt, and creepers.